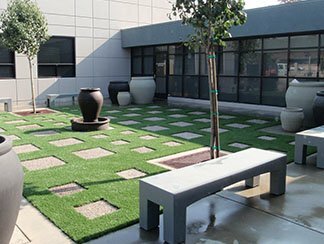 Roof-top installations, Putting greens, You name it! 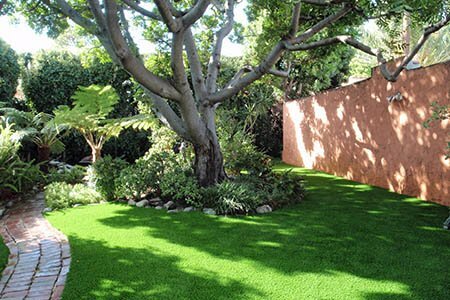 Can't we all just get a lawn? 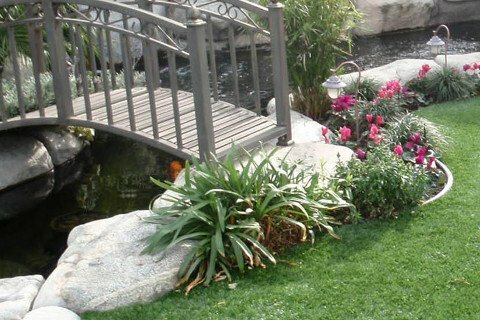 Hunny Do Grass strives to make the renovation of your property the most rewarding and enjoyable experiences as possible! 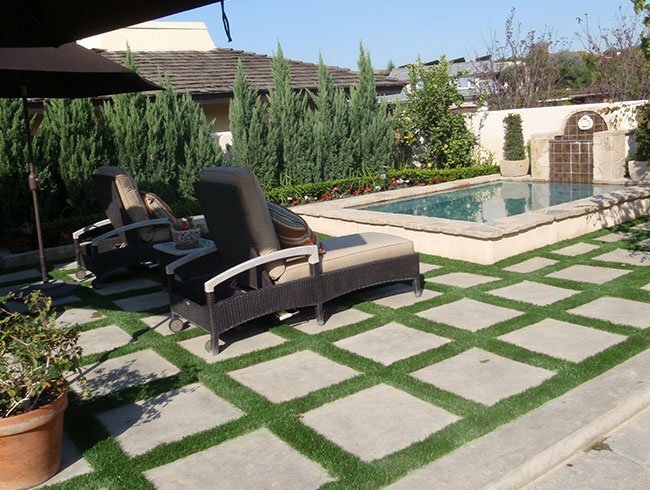 Hunny Do -- Southern California's premier artificial turf provider for over 14 years. Recipient of Numerous customer service awards. market but Hunny Do is here to stay by combing high value at a reasonable price. obligation turf quote from one of our design consultants. Just wanted to thank you guys for the outstanding job on our front lawn! Your crew was hard working, knowledgeable about their craft and the nicest, happiest group - their sense of fun and laughter was contagious! Our entire experience with Hunny Do was just amazing - kudos to Jim, Kristyn and Hannah who also were knowledgeable, kind and helpful. 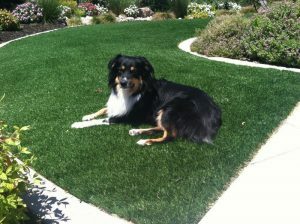 We truly appreciate the great experience we had with your company - we LOVE our artificial grass!!! I took a ton of photos feel free to use for "whatever"! 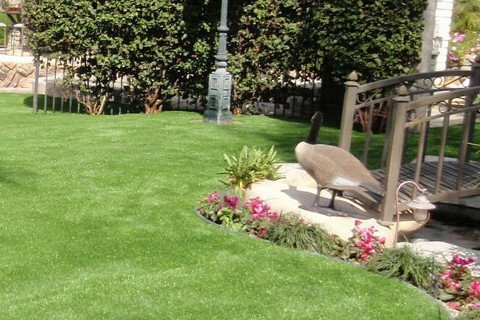 GREETINGS, HUNNY DO ARTIFICIAL GRASS! The installation on Thursday and Friday last week was great! Several of our neighbors comment how beautiful it looked and our next door neighbor said, "You guys are putting us to shame" with how good our lawn looks! Again, thank you for a job well done and performed earlier than planned. 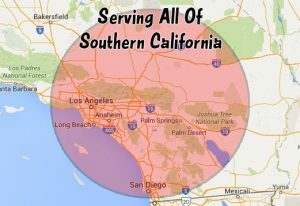 we gave everyone cold water, ice and Cokes on Thursday and Friday, along with some ice cold wash cloths for their face and hands, as the heat and humidity was a challenge...thank goodness we are only a few miles from the ocean and not in the desert! The guys completed the lawn here on Friday. Just want to mention to you, that you have an excellent crew there working for you. 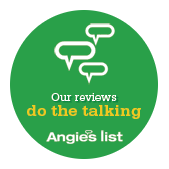 They were really helpful during the install asking me all the right questions and responding to anything I asked of them. Very well managed, Dennis was excellent. Thank you for the explanation. Your key installer explained things the same way to my wife who then hit me over the head with it. 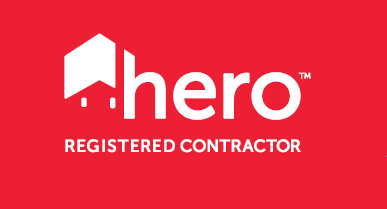 Your installation team is an inspiration; these guys hit the ground running and didn’t stop. Very impressive – true professional installation. 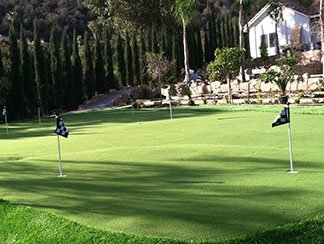 I just wanted to say “thank you” for taking care of the green. The ball rolls much smoother and it’s been fun playing again on it. Your crew did a wonderful job!! Crew was actually early, excellent workers, friendly, considerate, excellent job. Very good clean-up after work performed. All done in 1 day. Great price. Every one was professional and friendly. There were no hidden charges between the quote and the install and I love the result. 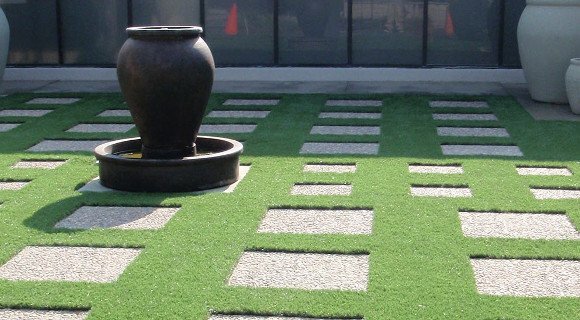 Of the three companies I called for initial estimates, Hunny Do was the most knowledgeable, professional, and comprehensive when addressing questions about artificial turf. We mulled over several samples they provided, and debated which company to choose (Compared to others, Hunny Do was not the least expensive). We decided on Hunny Do after reviewing their positive reviews on Angie's List. We received compliments from neighbors and people passing by (one driver made a point to U-turn and speak with us). 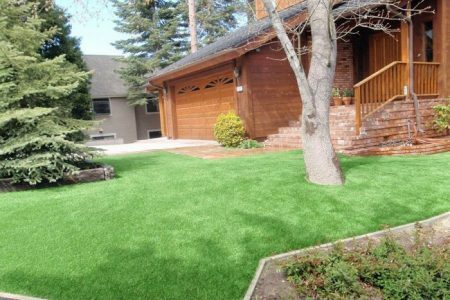 We were able to refer Hunny Do to others, including those who initially scoffed at the idea of artificial turf. 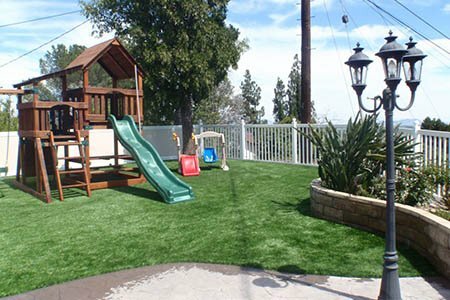 Our children now play more in the yard than they ever did with our original, patchy lawn. The sales guys was very professional and very nice. Explain everything very nice and it was very clear. 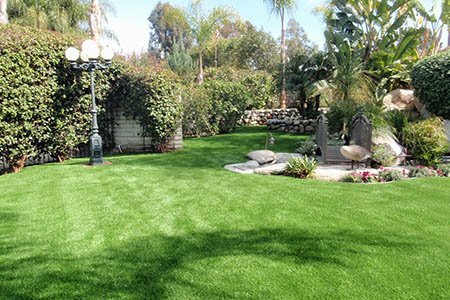 If I ever decide to get artificial grass I would use them.